Air Serv official finds a solemn scene in Sri Lanka - Air Serv International, Inc.
Colombo, Sri Lanka, Jan. 6, 2005-Air Serv International began relief flights in Sri Lanka yesterday, flying to Galle and conducting an initial assessment of stricken coastal areas in a King Air 300. Air Serv President Stuart Willcuts describes the area as “a solemn scene of white flags on many doors and gates, and incredible destruction”. “The rains have come to northern and eastern Sri Lanka,” Willcuts reports, “which has helped the drinking water situation, if people have containers. But the roads that remain along the coast are now in deeper water, the mud remains, the potential for disease increases, and the cold dampness causes people on the margins to be even more vulnerable. Relief teams on the ground are driving through water two feet deep, in some cases in places where landmine fields are known to exist. “Air transport, especially helicopters, are required for safety and to save significant amounts of time in travel. The country’s infrastructure to distribute the supplies has been overwhelmed,” Willcuts says. An Air Serv Puma helicopter arrives Saturday to help alleviate this problem. The King Air will fly today to the Wirawila/Kirinda area, Ampara (with two Canadian government water and medical team leaders who are setting up water treatment equipment and field clinics), Batticaloa, to the east coast, to towns on the southern end of the most affected zone, and to Trincomalee. The number of dead in Sri Lanka alone is now more than 28,000, with number of displaced more than 890,000. “We have experienced the extreme gratefulness and helpfulness of the people of this land, and there has been a fast-track welcome given all of us involved in the humanitarian program as we entered the country,” he said. Air Serv International, a non-profit organization, is requesting donations for its tsunami assistance projects. Contributions may be sent to the organization’s Virginia offices, or can be made at www.airserv.org. Air Serv International excels in transportation and communication links. 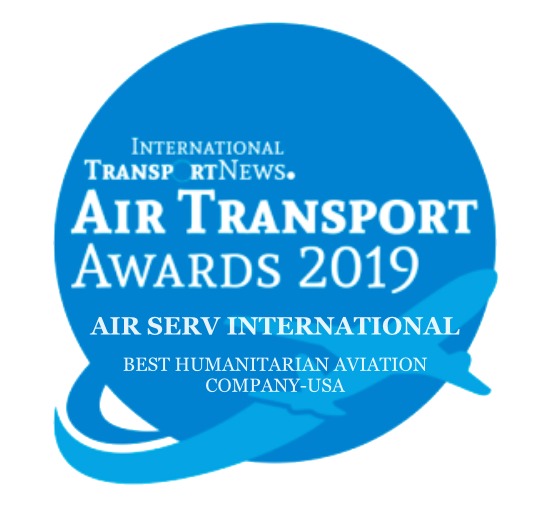 For 20 years, Air Serv has been providing safe, reliable, and cost effective air transport to humanitarian agencies involved in relief and development activities. Stu Willcuts is available for interviews in person or by phone from Sri Lanka. For more information or to interview Mr. Willcuts, please contact Debbie Payton at (404) 245-8500; email– dpayton@RooftopMediaWorks.com; or Jim Jewell at (678) 458-9837.